A teenager achieved worldwide notoriety Saturday when he cracked an egg on the head of far-right Australian Sen. Fraser Anning while filming the whole thing. Now that fame has spread all the way to the sneakers of Australia’s most famous basketball player. 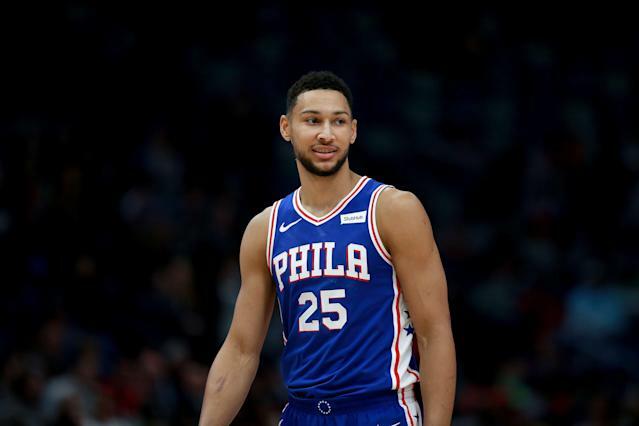 Philadelphia 76ers point guard Ben Simmons took the floor Tuesday against the Charlotte Hornets with “Egg Boy,” the teenager’s new nickname, written on his sneakers. The fashion choice was captured on the Instagram story of Paddy Steinfort, the Sixers’s director of performance and leadership development. Simmons was clearly feeling something while bearing the small political statement on his shoes, as he finished the game with a team-high 28 points on a nearly perfect 11-of-12 shooting. He also chipped in eight rebounds and five assists. The “Egg Boy” has since been released from custody without charges, pending further investigations. A GoFundMe set up in his honor has since raised more than $70,000 with plans to “send a majority of the money to the victims of the Christchurch terrorist attack,” the white supremacist attack on two mosques that claimed the lives of 50 people.